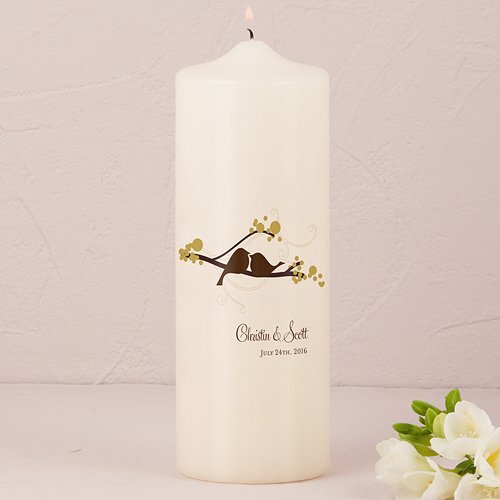 Designed to coordinate perfectly with all of our love birds stationery and accessories, these 9" tall pillar candles are available in either white or ivory. 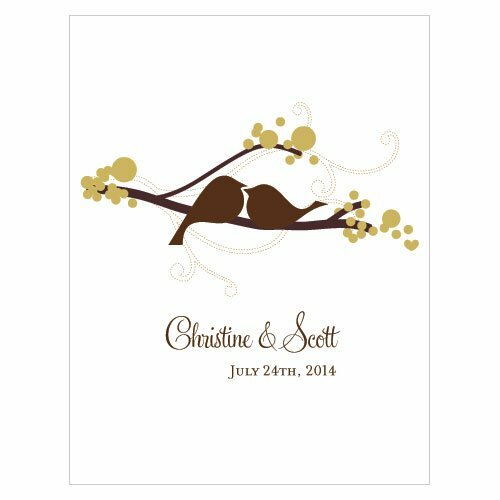 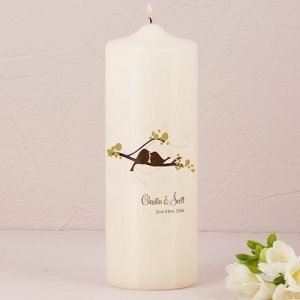 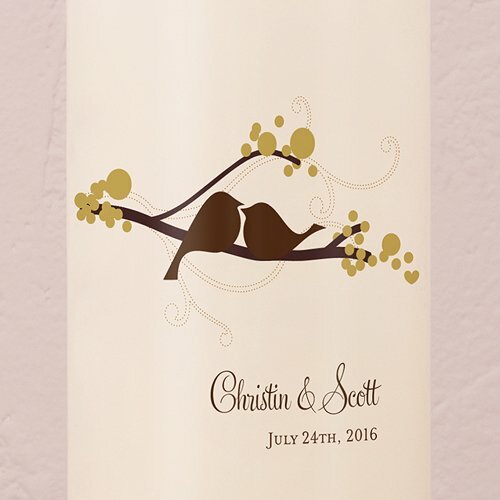 Candles are personalized with your names and wedding date along with our romantic love birds design in your choice of 4 colors. 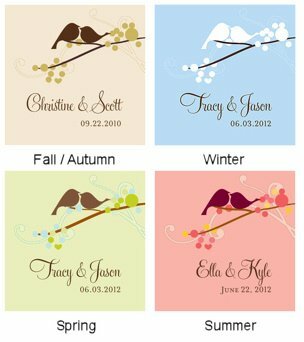 Charmingly designed it is suitable for any wedding or special event. 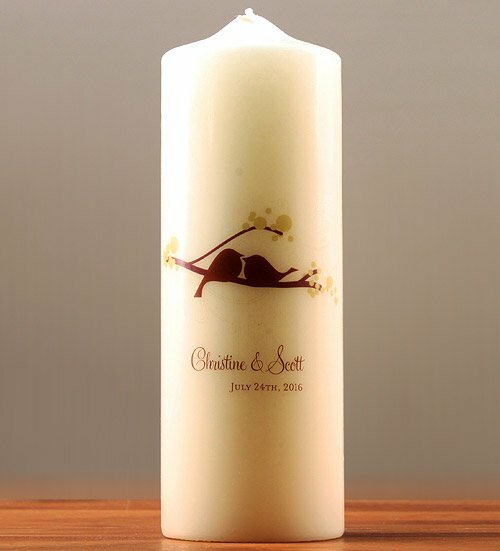 Add some matching tapered side candles and you've got an amazing unity candle collection for your big day!